With National Association of Investors Dynamic Investment Theory and the introduction of Dynamic Investments the World of Investing has Evolved. This is the most important new since the introduction of Modern Portfolio Theory. 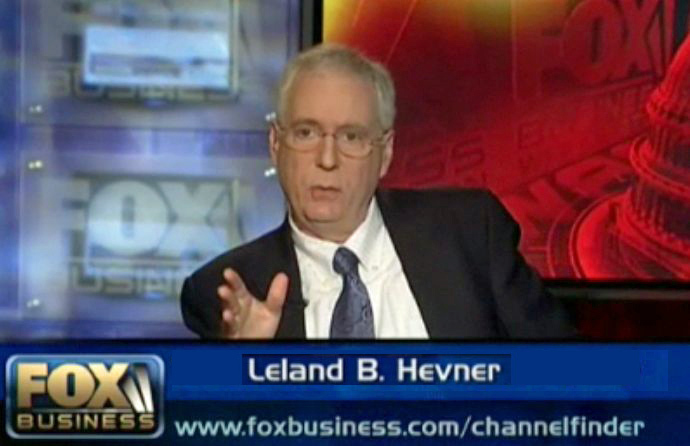 Allow me to introduce myself as Leland Hevner, President of the National Association of Online Investors (NAOI). As a major influencer in the financial media and a connection of mine on LinkedIn, I have selected you to be among the few people to know about a major announcement coming soon from the NAOI. We will soon be releasing Dynamic Investing Theory (DIT), the first new approach to portfolio design since 1952 when today's standard approach, Modern Portfolio Theory (MPT), was introduced to the market. While markets have change dramatically since the 1950's, MPT has barely changed at all and the portfolios it creates simply can't cope with modern markets. DIT was designed specifically to thrive in today's market environment. DIT and the new investment type it creates called Dynamic Investments will shake the financial services industry at its very core as the entire world of investing is about to change at a fundamental level. This Web page and this Web site explains how DIT methods and the DI investing vehicle improve portfolio design, implementation, management and performance. We believe that your audience will benefit greatly by being among the first to know about the changes that are coming. The NAOI is preparing to release Dynamic Investment Theory (DIT), the first viable alternative to Modern Portfolio Theory (MPT) - today's "settled science" approach to portfolio design and investing in genera that was introduced in 1952 and still used today! View the pending Press Release. Change is way overdue. 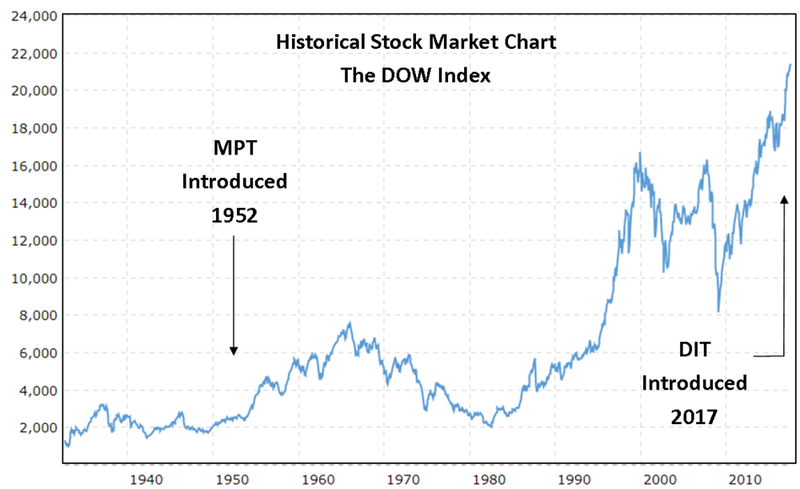 MPT was introduced in 1952 when markets were a far different place. While markets have evolved significantly since then, MPT has barely changed at all and it can no longer cope with modern markets. Yet investors are still given MPT portfolios today. The NAOI decided in 2008, when markets crashed and MPT-based portfolios crashed with it, that the status quo in the investing world was unacceptable. At that point we started a study to find a better approach to investing. Following a multi-year R&D effort and using a scientifically rigorous approach, we found it in Dynamic Investment Theory. DIT sets the logical foundation and defines the rules for the creation of a new investment type called Dynamic Investments. In our research effort we quickly determined that the only way an investment or portfolio can take full advantage of today's markets was to make it "dynamic". MPT buy-and-hold methods were providing low returns with unacceptable risk. Our goal became to create an investment type that incorporated an intelligent buy-and-sell methodology. We wanted to develop an investment type that could automatically monitor market trends and signal trades based on objective observations of empirical market data, not based on subjective human judgments. Following a significant research we developed the new investment type needed in the form of Dynamic Investments. DIs are the financial world's first and only "market-sensitive" investment vehicles. They automatically change the ETFs they hold in order to capture positive market trends wherever and whenever they exist in the market while selling or avoiding areas of the market trending down. By doing so they produce returns that are multiple times higher than any MPT-based portfolio in existence today with lower risk and no active management required. To get a quick overview of how Dynamic Investment work and perform, click this link. Below, in graphic form I show the basic difference between the way MPT-based portfolios work and NAOI Dynamic Investments work. MPT portfolios are both "static" and "dumb". DIT Dynamic Investments are both "dynamic" and "smart". This examples below use only two Exchange Trades Funds (ETFs) one for total Stocks and one for Total Bonds. The ETFs are the same for both, the difference is in how they are used and managed. MPT portfolios are designed to match the risk tolerance of the investor using asset allocation between basically stocks and bonds. Then the portfolio is meant to be bought and held for the long term. Following is a graphic example of an MPT portfolio configuration and management for the period from 2008 to 2017. MPT methods demand that both winning and losing investments be held at all times for the sake of risk reduction. MPT portfolios are "investor-sensitive" not "market-sensitive". Their value moves up and down at the whims of the market. MPT provides no guidance for changing the portfolio other than to periodically adjust the allocations to maintain their allocation percentages. Dynamic Investments have as their design goal to capture positive returns that exist in the in some area of the market at all times. They do so my having the built-in intelligence to periodically monitor market trends and buy only ETFs tracking assets or markets that are trending up while selling or avoiding those that are trending down. In contrast to MPT portfolios, DIs strive to hold ONLY winning investments. Following is an illustration of the DIT management strategy. The above graphic shows that Dynamic Investments use a new diversity type that the NAOI calls "time-diversity". DIs don't care about the investor's risk profile so the error-prone process of determining an optimal asset allocation is not needed. In addition, trades are signaled based on objective observation of each included ETF's trend data, not on error-prone subjective decisions made by advisors or analysts. This is an active investment that is passively managed! So, how does this new approach to portfolio design and management perform? To answer this question let's use a real-life example. The simplest DI designed by the NAOI rotates only between a Stock and a Bond ETF based on a quarterly review of the trends of each as illustrated in the above graphic. The Table below shows the performance for the 10-year period from 2008 to 2017 of of an MPT portfolio with a 50% allocation to each ETF and using a buy and hold strategy as compared to a Dynamic Investment using the same ETFs types but managed using DIT, intelligent buy and sell methods. Data shown includes annual returns assuming all income is reinvested, the average annual return for the period and the Sharpe Ratio for each investment type. Note that the Sharpe Ratio is a measure of the amount of return received for each unit of risk taken and the higher the better. The DIT-based Dynamic Investment returns are astounding. How is this possible? The ETF types are the same for both portfolios, the way they are managed makes the difference. The DIT-based investment is dynamic and smart, the MPT portfolio is static and dumb. Make no mistake this is a fundamentally new way of investing. MPT may have worked in the 1950's but it does not work in the 21st Century. DIT does work today and the results cannot be ignored. It is time for the entire world of investing to evolve to a better and more profitable place. With the release of Dynamic Investment Theory, the world of investing evolves from the 1950's to the 21st Century. Below is the new Evolution of Investing Timeline with major evolutionary advances listed. This change will happen. In addition to being a premier investment research organization, the NAOI is the market's leading provider of investor education to the public. When individual investors learn about the simplicity, higher returns and lower risk of DIs, they will demand them. To meet this demand financial service organizations will need to embrace DIT to meet it. Those organizations who do not change will lose bushiness and die. That's just how evolution works. Anything this new, extensive and game-changing is a threat to a status quo that is making a lot of people rich. So their will be skepticism and criticism of DIT. That is how it should be and I welcome the opportunity to address it. But to save time allow me to bat away here the most frequent criticisms that I hear. Tax Penalties - Yes, DIT requires frequent trading and will incur short-term capital gains taxes. But, look at the increase in returns from even the simplest DI illustrated above. Even after capital gains taxes the return still far exceeds that of a buy-and-hold MPT portfolio. Plus, most retail investing today takes place in retirement accounts where taxes are deferred and then taxed at ordinary personal income rates. So this argument simply goes away. Individuals Can't Successfully "Time the Market" - I totally agree that people can't win by timing the market. DIT doesn't ask them to. In a Dynamic Investment the "market" times the market. There are no human judgments involved. And the "market" is quite capable of timing itself. Historical data proves it. Returns are too Higher, this Must Be a Scam - The incredible returns of Dynamic Investments are so high that any methodology producing them must set off red lights at the SEC. But expected returns today are measured by what MPT portfolios have historically produced. DIs use a totally different way of investing and once the MPT constraints are removed returns of 20%+ on a regular basis are easily possible. DIT is not in any way a "scam" it is simply a better way of investing; the likes of which the market has never seen before. I would be glad to debate any skeptic on your show or in your article. This Web page is meant to provide to members of the media a quick overview of the changes that are coming in the very near future to the world of investing. Hopefully the information presented here is sufficient to make you want to learn more. For this purpose I provide the following "site roadmap" with links that will enable you to easily do so. Each link opens a new window on your browser. Press Article and Ideas - Dynamic Investing gives rise to a number of interesting articles and interviews. Here are some suggestions. About the NAOI - Here is more information about the National Association of Online Investors - we have been around for 20 years! Dynamic Investments at a Glance - This is a quick snapshot of what NAOI Dynamic Investments are and how they perform. Dynamic Investing Theory - How was DIT created and what does it say?